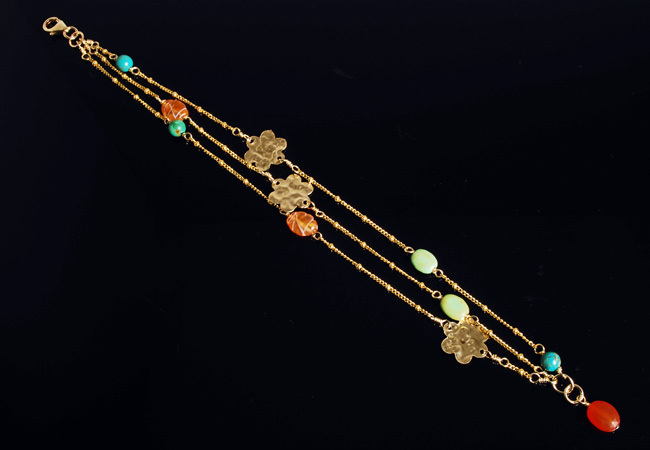 Three strands of slender 14K GF chain are punctuated by hammered GF flowers, carnelian and turquoise beads. Light as air! About 7.5″ long.